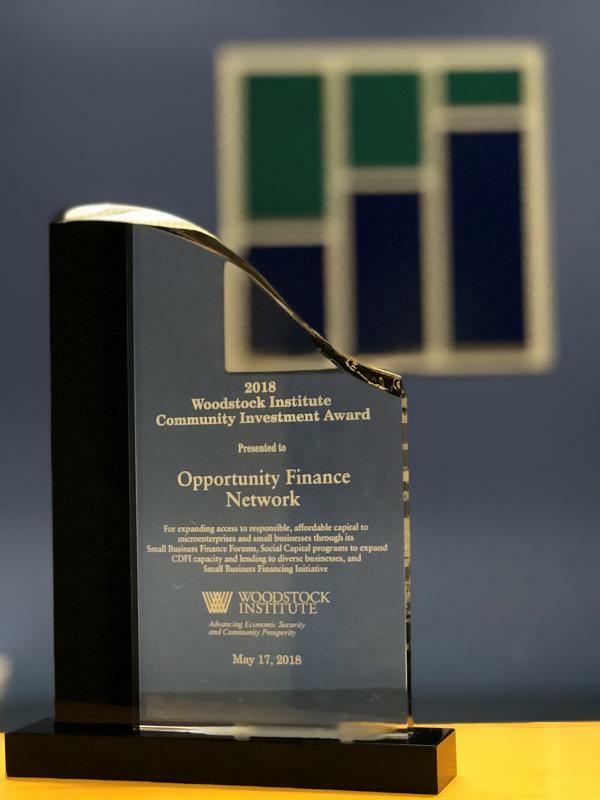 The Woodstock Institute recognized OFN on May 17 with a Community Investment Award for expanding access to small business capital. We were one of three awardees—the others were Richard Cordray and Chicago Neighborhood Initiatives’ MicroFinance Group (an OFN Member). 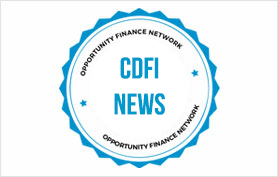 When I started with OFN 20 years ago, CDFIs were not really doing small business lending like we are today. In 1999, 81 OFN members made 1,907 loans to small businesses and microenterprise. The amount totaled $82.5 million. In 2016, when OFN last tallied, 138 of our members closed 98,046 loans totaling $915.7 million. That’s a 51-fold increase in number of loans and an 11-fold increase in dollar amounts. I head strategic initiatives at OFN. During my time with the organization, I’ve been lucky to have a front row seat in the development of great CDFI innovations in small business lending. Our members have used creative strategies to launch and scale new loan products and small business advising services that open entrepreneurship opportunities in more communities across the country. Three of many more examples are Opportunity Fund in California, which uses technology to offer affordable loans and business support services to small and micro businesses. MEDA in Minneapolis just received $1,000,000 from OFN’s NEXT Fund for Innovation to provide a new, patient equity-like capital product for minority-owned Minneapolis businesses with potential for high growth. And ACCION Chicago has a robust bank referral program that takes the bank referral pipeline to a whole new level. Read more about OFN’s members who are increasing access to capital in communities across the U.S.